It’s certainly been a year to remember for Electric Eels – and now the club has another gong to add to its growing collection of awards. The club is the only swimming and synchro club in the country for people with Down’s Syndrome – and due to its success, there are a number of people on the waiting list for both disciplines. 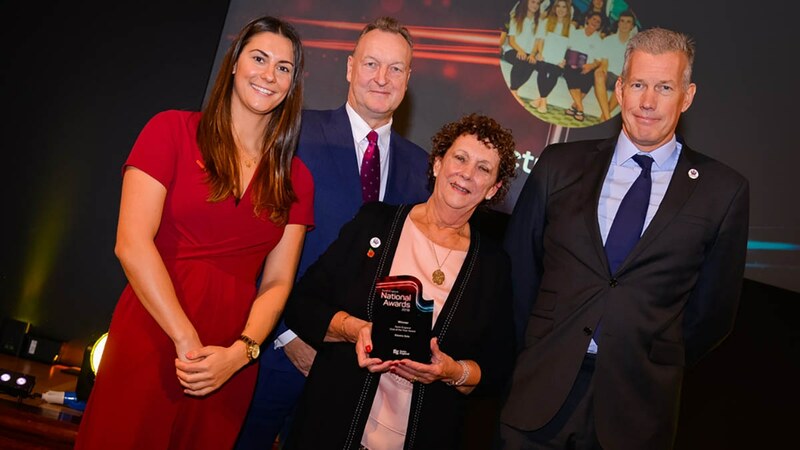 Earlier this year, Electric Eels was presented with the Queen’s Award for Voluntary Service and now it has been named Swim England Club of the Year. Based at Windsor Leisure Pool, swimmers from beginners to competitive level travel from across the country to attend training sessions and events, with members competing in as many galas as possible. The synchro section represented Great Britain at the European and World Championships for people with Down’s Syndrome winning a number of medals. Pauline Walker, who was also awarded the British Empire Medal in the Queen’s Birthday Honours, added: “We’re absolutely thrilled to bits to win.